From Shammi Kapoor's first hit to the character roles in his autumn years, Arthur J Pais has hoarded many memories of the actor. He shares some of them. One of Shammi Kapoor's favourite stories was about how his older brother conned him in their school days. Shammi, an endlessly amusing raconteur who was in awe of Raj Kapoor even after the latter's death two decades ago, remembered going to Kolkata's Metro theatre in 1937 to see Snow White And The Seven Dwarfs. Their mother had given them Re 1, he recalled. Half of that was for two tickets. The rest was money for snacks and tram. Their servant was to wait outside the theatre to bring the boys back home. There was a huge line for the tickets. So, Raj told the servant and Shammi to wait on a bench, while he stood in the line. He came back an-hour-and-a-half later, saying he just could not get the tickets. Later, Raj confessed that he had bought the ticket in black and seen the movie alone. I did not know anything about black market tickets till I saw the first major Shammi Kapoor hit Tumsa Nahin Dekha in 1957 in a small town called Coondapur in Karnataka. He had also insisted that I would not even whisper to anyone about buying the ticket in the black. It was going to be my first white lie. There was far less melodrama in Tumsa Nahin Dekha compared to other Hindi films I had seen the past year, and it had an awesome score. 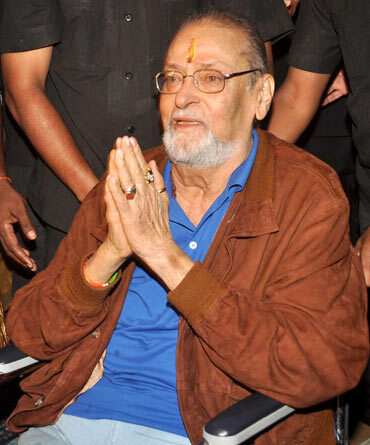 Later I would realise that like his brother Raj, Shammi took enormous interest in the score for his films, and would insist on being present at recordings. And that is why even when a Shammi film turned out to be rotten, one could always count on two or three superb songs, mostly rendered by Mohammad Rafi. Rafi was famous for adapting his voice to suit the actors. I think he learnt it from Shammi, for the actor would often tell him how he was going to enact the song, and Rafi, who was Shammi's voice in most films, knew how to make a Shammi song distinctly different, especially in films like Junglee, Professor, Kashmir Ki Kali, Teesri Manzil and Brahmachari. Nayyar reluctantly agreed, but it was only after he saw the pictured version of the song did he compliment Shammi. 'I received one of the warmest hugs in my life,' Shammi later said. 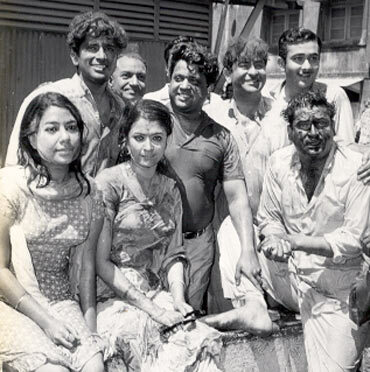 As a college student in Chennai in the 1970s, I had not only bunked classes to see a Shammi films, but had also accompanied a friend to the studios to watch the shoot of many films, including Rajkumar. Shammi welcomed visitors to the sets, regaling them with movie stories, discussing actors, directors and composers. He always spoke with warmth and there was never any malice or envy or anger when he talked about a bigger star or a producer quietly dumping him for another star, say Dev Anand who was signed for Jab Pyar Kisise Hota Hain in a role that was meant for Shammi. The film was made by his friend Nasir Hussain. Shammi did not take it to heart that Hussain did not inform him directly that he wanted to work with Dev. A few years later, Dev and Hussain had a spat and the latter walked out, leaving the just launched Teesri Manzil without a hero. Hussain called Shammi. Not a person to hold a grudge, Shammi agreed to do the film, but only after he heard from Dev that he had indeed walked out of the project. The film, directed by Dev's brother Vijay Anand, became not only one of the biggest hits of the 1960s, but also catapulted its composer R D Burman (whose innovative score Shammi loved) into the A-grade list. 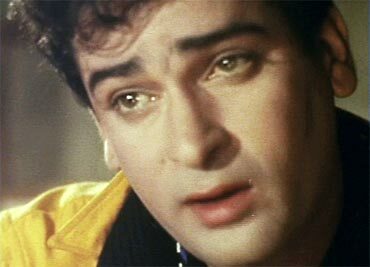 The Shammi Kapoor formula -- a rebellious young man who was boisterous and who would often woo newcomers like Asha Parekh. Sharmila Tagore and Saira Banu -- worked very well through the 1960s, but his films began to flop in the 1970s. I remember buying tickets in black for the film Pagla Kahin Ka at the Liberty in Mumbai on the opening day, only to discover less than a week later that the film had collapsed after the weekend. One reason that Shammi was going fast out favour was that he had put on too of much weight. 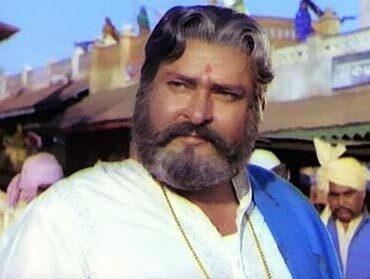 Some producers like Shakti Samanta had warned him about his girth, yet they signed him on. Raj, who was in New York to lead the India Day Parade over two decades ago, had bemoaned how obesity was hurting the Kapoor family. 'God willing, I will get rid of asthma and tons of weight,' he had said. 'We are all paying the price because we are overweight. Look at Shammi and Shashi. Their career too would improve if they shed some weight.' He also said that his daughter-in-law Neetu (Rishi's wife) has been telling her husband and other Kapoor men that being overweight was not genetic. He was going to reduce a great deal so that he could play the lead in a film that Vijay Tendulkar was writing for him, he had said. Raj did not live long enough to make that dream come true. 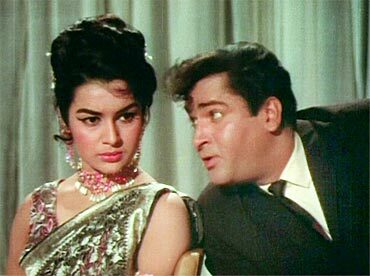 Shammi's critics also say (and not without merit) that he became too mannered and the body language remained the same film after film. The blame maybe lies with the writers and directors who wanted to play it safe. And like many other stars, Shammi too did not try hard to change his image, though it must be noted that he turned himself into a fine character artists with films like Prem Rog, Vidhaata and Hero in the 1980s. When his career as a leading man began to nosedive, he sought out directing assignments. But the two films he directed, Manoranjan and Bundal Baaz, did not do well. Unlike some stars who had fallen out of top place, Shammi never wallowed in self pity. In fact, till the very end -- and many people including Aamir Khan and Sharmila Tagore will endorse this -- he remained upbeat. There was never a mean bone in him, no rancor, no bitterness. One of his greatest joys in recent years came from talking to the younger generation -- be it with his nephew Ranbir or with the actor Imran Khan. He made new artists feel comfortable by playing pranks. Some times the producers would worry that if his acts could intimidate some new artists, but Sharmila, who made her Hindi film debut opposite Shammi Kapoor in Kashmir Ki Kali, has said she became less tense because of the atmosphere he created.